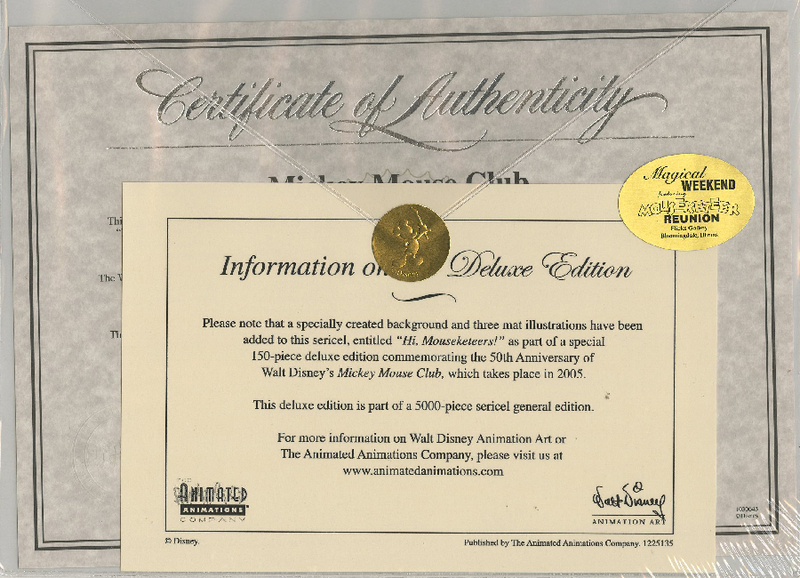 This is a limited edition sericel entitled Hi, Mouseketeers that was created in 1995 and features a variety of images of Mickey Mouse from his appearances on the Mickey Mouse Club. 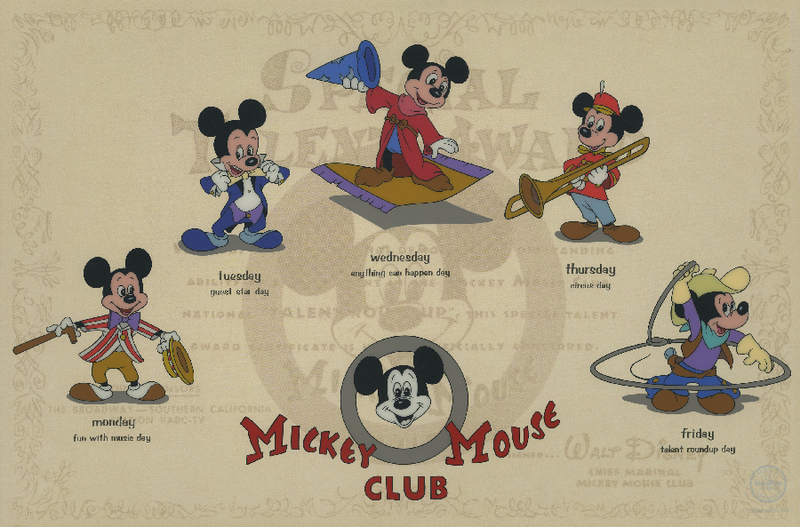 The overall matted piece measures 12.5" x 15.5" and the imagery features the five different Mickey images that represented the different themes for the classic 1955 kids' show. This sericel was produced in an edition of 5000 with 500 additional printers proofs. 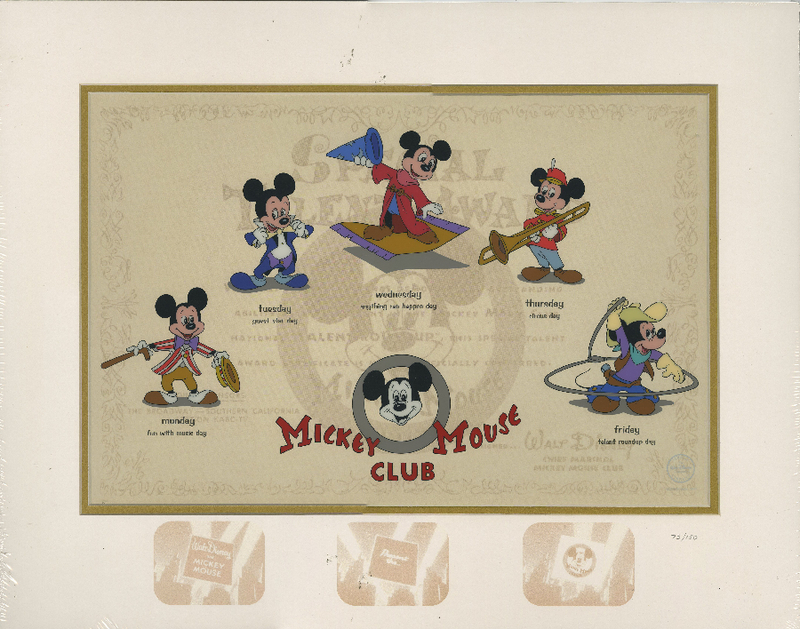 Of the 5000 pieces, this piece is part of a very special edition of only 150 pieces that were produced with a special background of the Mickey Mouse Club logo that sits behind the five serigraphed Mickey images. This special deluxe edition also includes the special mat with the printed imagery that is only found with these 150 pieces. This piece includes the original COAs, as this deluxe edition includes the regular edition COA, and an additional COA stating that it is part of the deluxe edition of 150. This piece is in excellent condition.